1. This stroller frame that my car seat goes on and is SOOOooo lightweight! I had a travel system, but it's a full stroller and is very cumbersome to fold and lift into the car. This was cheap and very easy to use!!! 2. Baby smell.. there is nothing that smells so cozy and wonderful. It's unique and you can never bottle it! I love how Christopher smells after his bath. 3. Dunkin Donuts Latte Lite... YUM! It's my favorite thing to drink in the morning to warm up! Full of fabulous artwork both cloth and paper! LOVE this magazine!!! It's where I get inspired! 5. 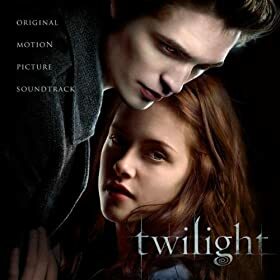 Twilight movie soundtrack! It ROCKS my world.. I could listen to it over and over and over... and I have. Just like the books, I am rereading them for the 3rd time!!! My favorite song is the Linkin Park one! I sing it in the car! LOL! Okay, that's it for today! If I could add a 6th, I would say that Pink Paislee is my fav! We chatted with the owner, Rebecca Cross... she was fabulous and so is the products she creates! Thanks! Congrats sooo much with your little baby boy !!!!!! Mmmmm Coffee! Like I need a 6th cup today LOL. But it always sounds good. I don't have the soundtrack yet, I keep forgetting to pick it up. But I love the Paramore song on there! Im with you on the babay smell....its just the sweetest.